Your company has two types of customers – existing and potential. Both these type of customers have a choice to either go with your brand or select your competitors. Hence, building a strong customer relationship is the key for customer retention and gaining new clients. 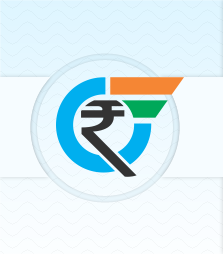 Every small step towards customer relationship management has proved to increase revenues. 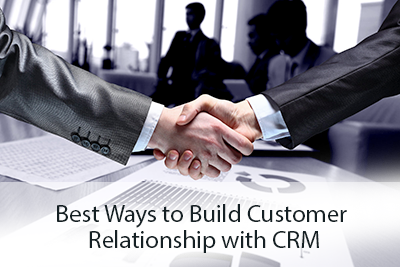 However, one of the biggest steps your company can take towards Customer Relationship Management is through a CRM tool. Making a purchase decision is a complex process. Most customers conduct primary research before buying. They communicate with the sales team, ask queries and even scout for reviews on social networking websites and review sites. During this phase, a CRM tool can keep a record of all customer interactions. This can be in the form of opt-in contact forms, content engagement, marketing emails etc. Depending upon the type and degree of customer engagement, the CRM tool can also alert the sales team when a sale seems most likely. Convincing the customer to make the purchase is step one. But the sales team doesn’t stop working just there. Building the customer’s trust is crucial for customer retention. If the customer is not sure about your brand, he or she will never return. Hence, it is crucial to communicate with customers continuously even after the sale of product or service. Frequent communication will keep the customer interested in your brand and CRM allows you to exactly do that. Most customers would readily agree to receive email updates and sign up for newsletters. However, once a few generalized newsletters are sent out, it doesn’t take long for the customer to unsubscribe to them and move on to your competitors. Hence, when communicating with customers, it is essential to know what type of content will be of interest to them. A CRM tool can give you the most robust customer profile which includes details such as whether they are a business or a person, what are their product or service needs, how do they like to communicate with you, how often do they buy, any buying patterns etc. A quick communication history is also stored in the CRM tool. These details can help you align your communication strategy in accordance with the customer’s expectations. Hence, it will only take you a few minutes to design a customized newsletter for your each client. Personalization of this level is bound to increase the rate of conversions. Customers these days expect brands to respond to concerns or complaints as quick as possible. CRM software provides instant notifications when a customer communicates with the company. It also allows users to send instant replies, make notes and schedule follow-up tasks. With these tools, follow-up conversations with customers are a breeze. They are quick and efficient and ensure that customers feel valued. In conclusion, we can say that when it comes to customer relationship management, CRM software has all the features that make it possible to build strong relationships with customers.